Something Huge (2017) – What's New on Netflix Canada Today! 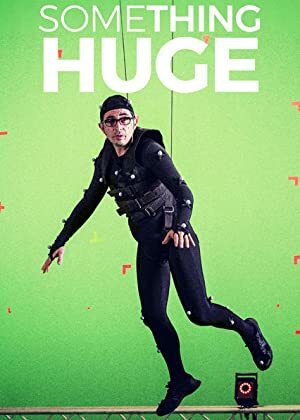 Algo Muy Gordo (original title) – The star of SOMETHING HUGE, Berto Romero, after years of success in film & TV wants to explore ‘a new shape of comedy’: the comedy of the future. In parallel, Carlo Padial, director of experimental films & documentaries, is exploring a new comedy route – both will meet under casual circumstances. SOMETHING HUGE is the hilariously moving and inspiring journey of a comedian (Berto Romero) and an indie film director (Carlo Padial) who decide to create ‘the biggest, most forthcoming and futuristic comedy ever made in Spain’. The project, named SOMETHING HUGE, will need a big team, healthy production and many special effects. They both have the best intentions to make it work, nevertheless they will run into complications that will make it difficult for them to wrap ‘the biggest futuristic comedy in the history of Spanish cinema’.